Physicist Stephen Hawking passed away early this morning in his home in Cambridge. He was 76. 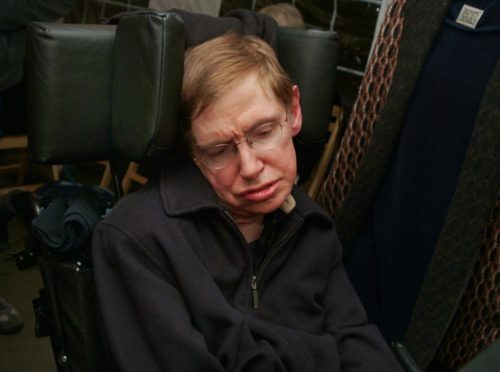 Hawking is best known in the academe for his work on black holes, general relativity, and quantum mechanics. And his best-selling book A Brief History of Time, as well as appearances on TV shows like The Simpsons, made him a household name. He was also concerned with universal health care. At 21, he was diagnosed with a rare condition, amyotrophic lateral sclerosis. He was told he had a few years to live and was dependent on the United Kingdom’s National Health Service. “I wouldn’t be here without the NHS,” he said later in life in response to Conservatives’ attacks on the program. Hawking signed a letter asking the British government to pardon mathematician Alan Turing. In 1952, Turing was found guilty of homosexuality and punished with chemical castration. He committed suicide shortly after. As an atheist, Hawking did not believe in an afterlife. “We have this one life to appreciate the grand design of the universe, and for that, I am extremely grateful,” he once said.